Today, Rashtrapati Bhawan will celebrate the occasion of earth hour by switching off light. Many Delhiites are set to turn off the lights and observe Earth Hour on Saturday evening, with last minute SMSs and mails doing the rounds, urging everyone to make the third edition of the event a grand success. 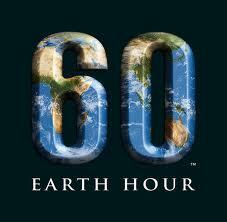 Earth Hour is organised annually on the last Saturday of March by the World Wide Fund for Nature (WWF). Over 4,000 cities from 131 countries will be turning off their lights during the global event and that includes New Delhi and Mumbai too. "I’ll be going to the event with my college friends and we all love Palash Sen of Euphoria. Moreover, I think this is a great way to save our planet," said 19-year-old Gunjan Ahuja, a student of Delhi University. According to a statement, the Rashtrapati Bhavan – the presidential palace – too will observe Earth Hour by switching off all the lights in the building’s exterior. Bollywood star Vidya Balan , who is the cause ambassador of the third edition of Earth Hour, will also be in the capital to observe the hour along with Delhiites. Music band Euphoria will perform on the occasion at the India Gate lawns. Earth Hour started in 2007 in Sydney, Australia when 2.2 million individuals and over 2,000 businesses turned their lights off for one hour to take a stand against climate change. India joined the campaign in 2009 and currently, mainly the urban centres in the country are participating. The campaign message this year is to go beyond the hour and commit oneself to a more sustainable way of living every day, and not just for an hour, the WWF said. Earth Hour 2011 marks the start of a new phase for the movement, which is also reflected in the new ’60+’ logo, representing a commitment to add a positive act for the planet. "It is heartening to receive such tremendous support from across the country. We are now hoping to multiply the initiative across the social spectrum and reach out to governments, organisations, and individuals, especially the youth," said Ravi Singh, secretary general and chief executive of the WWF-India. India joined the campaign by committing the support of two cities, but finally almost 56 cities supported it. During Earth Hour 2010, more than five million people in India switched off the lights. Popular landmarks like the India Gate, the Qutub Minar and the Red Fort in Delhi, the Chhatrapati Shivaji Terminus and the Gateway of India in Mumbai, national defence establishments, universities, hotels, cinema complexes and shopping malls across the nation participated in the event.